Welcome to Tech-Outdoors.com. These Terms & Conditions apply to the TECH Outdoors website located at www.TECH Outdoors.com and all other sites, mobile sites, services, applications, platforms and tools where these Terms & Conditions appear or are linked (collectively, the "Site"). As used in these Terms & Conditions, "Tech Outdoors", "us" or "we" refers to Tech International and its subsidiaries and affiliates. BY ACCESSING OR OTHERWISE USING THE SITE YOU AGREE TO THESE TERMS & CONDITIONS. Any person or entity who interacts with the Site through the use of crawlers, robots, browsers, data mining or extraction tools, or other functionality, whether such functionality is installed or placed by such person or entity or a third party, is considered to be using the Site. If at any time you do not accept all of these Terms & Conditions, you must immediately stop using the Site. Certain areas within the Site may be governed by additional terms ("Additional Terms"). By using those areas of the Site, you agree to the Additional Terms. The Additional Terms are incorporated into these Terms & Conditions, and any reference to these Terms & Conditions includes the Additional Terms. All content included on the Site, such as text, graphics, logos, images, audio clips, video, data, music, software, Application updates and other material (collectively "Content") is owned or licensed property of TECH Outdoors or its suppliers or licensors and is protected by copyright, trademark, patent or other proprietary rights. The collection, arrangement and assembly of all Content on the Site is the exclusive property of TECH Outdoors Brands, Inc. and protected by U.S. and international copyright laws. TECH Outdoors and its suppliers and licensors expressly reserve all intellectual property rights in all Content. TECH Outdoors grants you a limited license to access and make personal use of the Site and the Content for NONCOMMERCIAL PURPOSES ONLY and only to the extent such use does not violate these Terms & Conditions including, without limitation, the prohibitions listed in the "UNLAWFUL OR PROHIBITED USES" section of these Terms & Conditions. You may download, print and copy Content for personal, noncommercial purposes only, provided you do not modify or alter the Content in any way, delete or change any copyright or trademark notice, or violate these Terms & Conditions in any way. Accessing, downloading, printing, posting, storing or otherwise using the Site or any of the Content for any commercial purpose, whether on behalf of yourself or on behalf of any third party, constitutes a material breach of these Terms & Conditions. The Site is intended for use by individuals 13 years of age or older. If you are under 18, you may use this Site only with involvement of a parent or guardian. or remove any copyright, trademark or other proprietary rights notice from the Site or materials originating from the Site. You may be required to register with TECH Outdoors in order to access certain services or areas of the Site. With respect to any such registration, we may refuse to grant to you the user name you request. Your user name and password are for your personal use only. If you use the Site, you are responsible for maintaining the confidentiality of your account and password and for restricting access to your computer, and you agree to accept responsibility for all activities that occur under your account or password. In addition to all other rights available to TECH Outdoors including those set forth in these Terms & Conditions, TECH Outdoors reserves the right, in its sole discretion, to terminate your account, refuse service to you or cancel orders. TECH Outdoors may at any time: (i) modify or discontinue any part of the Site; (ii) charge, modify or waive fees required to use the Site; or (iii) offer opportunities to some or all Site users. TECH Outdoors reserves the right to make changes to these Terms & Conditions at any time, and such changes will be effective immediately upon being posted on the Site. Each time you use the Site, you should review the current Terms & Conditions. You can determine when these Terms & Conditions were last revised by referring to the "LAST UPDATED" legend at the top of these Terms & Conditions. Your continued use of the Site will indicate your acceptance of the current Terms & Conditions; however, any change to these Terms & Conditions after your last usage of the Site will not be applied retroactively. TECH Outdoors reserves the right, without notice and at its sole discretion, to terminate your account or your use of the Site and to block or prevent future access to and use of the Site (i) if you violate any of these Terms & Conditions, (ii) for any other reason or (iii) for no reason. Upon any such termination, your right to use the Site will immediately cease. You agree that we shall not be liable to you or any third party for any termination of your access to the Site. Upon termination, all provisions of these Terms & Conditions which are by their nature intended to survive termination, all representations and warranties, all limitations of liability and all indemnities shall survive such termination. TECH Outdoors welcomes your reviews, comments and other communications, photos, videos or any other content that you submit through or to the Site, or any content or information you publish through any social media and allow TECH Outdoors to feature, such as your name, social media handle, accompanying text and any images from your social media accounts (e.g. Twitter™, Instagram™, Pinterest™) (collectively, "User Content") as long as the User Content submitted by you complies with these Terms & Conditions as well as TECH Outdoors’ General Review Writing Guidelines, which are incorporated into these Terms & Conditions in their entirety. User Content will not include any photographs or images you submit as part of a Transaction (as defined below). You agree that any User Content: will be accurate; will not violate or facilitate the violation of any law or regulation; will not violate any right of a third party, including copyright, trademark, privacy or publicity rights; will not cause injury to any person or entity; and will not contain, or provide links to, obscene, profane or threatening language, malware, political campaigning, commercial solicitation, chain letters, mass mailings, any form of "spam" or any material that could be considered harmful, sexually explicit, indecent, lewd, violent, abusive or degrading. You are solely responsible for the User Content you submit, and TECH Outdoors assumes no liability for any User Content submitted by you. You acknowledge and agree that we reserve the right (but have no obligation) to do any or all of the following, in our sole discretion: (i) monitor User Content; (ii) alter, remove or refuse to post or allow to be posted any User Content; and/or (iii) disclose any User Content, and the circumstances surrounding its transmission, to any third party. For any User Content you submit, you grant to TECH Outdoors a non-exclusive, sub-licensable, fully paid-up, perpetual, irrevocable, royalty-free, transferable right and license to use, display, perform, transmit, copy, modify, delete, adapt, publish, translate, create derivative works from, sell and distribute such User Content and to incorporate the User Content into any form, medium, or technology, now known or hereafter developed, throughout the world, all without compensation to you. For this reason, do not send us any User Content that you do not wish to license to us, including any confidential information or any original creative materials such as stories, product ideas, computer code or original artwork. In addition, you grant to TECH Outdoors the right to include the name provided along with the User Content submitted by you; provided, however, TECH Outdoors shall have no obligation to include such name with such User Content. We are not responsible for the use or disclosure of any personal information that you voluntarily disclose in connection with any User Content you submit. You represent and warrant that you have all rights necessary for you to grant the licenses granted in this section. You further irrevocably waive any "moral rights" or other rights with respect to attribution of authorship or integrity of materials regarding User Content that you may have under any applicable law under any legal theory. Content is also provided by third party visitors to the Site. Please note that Site visitors may post content that is inaccurate, misleading or deceptive. TECH Outdoors neither endorses nor is responsible for any opinion, advice, information or statements made by third parties. The opinions expressed by third parties reflect solely the opinions of the individuals who submitted such opinions and may not reflect the opinions of TECH Outdoors. If you wish to purchase any product or service made available through the Site (each such purchase, a "Transaction"), you may be asked to supply certain information relevant to your Transaction including, without limitation, your credit card number, the expiration date of your credit card, your billing address and your shipping information. YOU REPRESENT AND WARRANT THAT YOU HAVE THE LEGAL RIGHT TO USE ANY CREDIT CARD(S) OR OTHER PAYMENT METHOD(S) UTILIZED IN CONNECTION WITH ANY TRANSACTION. By submitting such information, you grant to TECH Outdoors the right to provide such information to third parties for purposes of facilitating the completion of Transactions initiated by you or on your behalf. Verification of information may be required prior to the acknowledgment or completion of any Transaction. All descriptions, images, references, features, content, specifications, products and prices of products and services described or depicted on the Site are subject to change at any time without notice. Certain weights, measures and other descriptions are approximate and are provided for convenience purposes only. The inclusion of any products or services on the Site does not imply or warrant that these products or services will be available. It is your responsibility to ascertain and obey all applicable local, state, federal and international laws (including minimum age requirements) in regard to the receipt, possession, use and sale of any item purchased from this Site. By placing an order, you represent that the products ordered will be used only in a lawful manner. TECH Outdoors reserves the right, with or without prior notice, to do any one or more of the following: (i) limit the available quantity of or discontinue any product or service; (ii) impose conditions on the honoring of any coupon, coupon code, promotional code or other similar promotion; (iii) bar any user from making or completing any or all Transaction(s); and (iv) refuse to provide any user with any product or service. You agree to pay all charges that may be incurred by you or on your behalf through the Site, at the price(s) in effect when such charges are incurred including, without limitation, all shipping and handling charges. In addition, you remain responsible for any taxes that may be applicable to your Transactions. TECH Outdoors or our agents may call or text by telephone regarding your account or your Transactions. You agree that we may place such calls or texts using an automatic dialing/announcing device. You agree that we may make such calls or texts to a mobile telephone or other similar device. You agree that we may, for training purposes or to evaluate the quality of our service, listen to and record phone conversations you have with us. TECH Outdoors strives to display as accurately as possible the colors of the products shown on the Site; however, TECH Outdoors cannot and does not guarantee that your monitor’s display of any color will be accurate. 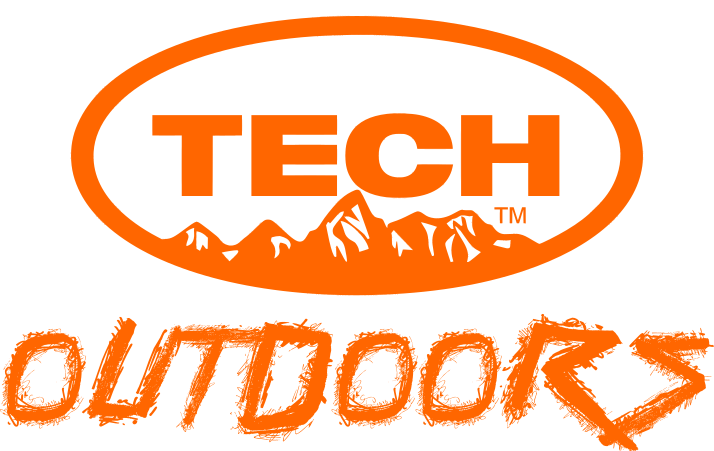 TECH Outdoors does not offer additional discounts on large orders of a single item or on large orders of many individual items. In addition, we reserve the right to limit quantities on orders placed by the same account, on orders placed by the same credit card, and on orders that use the same billing or shipping address. We will notify you if such limits are applied. TECH Outdoors reserves the right to prohibit purchases of any merchandise to resellers. Resellers are defined as a company or an individual that purchases goods with the intention of selling them rather than using them. If an item is out of stock, TECH Outdoors may, in its sole discretion and at no extra cost to you, substitute another item for the out-of-stock item if TECH Outdoors, in its sole discretion, determines that the identical brand and product is available in a form that is of equal or greater value, for example, larger quantity, packaged with a trial sample, or with updated product packaging. TECH Outdoors’ acknowledgement of an order means that your order request has been received; it does not mean that your order has been accepted or shipped or that the price or availability of an item has been confirmed. TECH Outdoors makes a conscientious effort to describe and display its products and services accurately on the Site. Despite these efforts, a small number of items on the Site may be mispriced, described inaccurately or unavailable, and we may experience delays in updating information on the Site and in our advertising on other sites. As a result, we cannot and do not guarantee the accuracy or completeness of any information, including prices, product images, specifications, availability and services. TECH Outdoors reserves the right to change or update information and to correct errors, inaccuracies or omissions at any time without prior notice. We apologize for any inconvenience. As part of our shipping procedures, we verify the availability and the price before an item is shipped. If an item’s correct price is lower than our stated price, we will charge the lower amount and ship you the item. If an item’s correct price is higher than our stated price, if the item is no longer available or if we determine that there were inaccuracies in our product information, we will cancel your order and notify you of such cancellation via email. Please see our Pricing Policy for more details. The Pricing Policy is incorporated into these Terms & Conditions in its entirety. If you are not fully satisfied with your purchase, you may return it in accordance with the Return Policy. We provide links and access to third-party websites or services that contain information that is provided as a service to those interested in the information. TECH Outdoors neither regularly monitors nor assumes responsibility for the content of third parties’ statements or websites. Accordingly, TECH Outdoors does not endorse or adopt these websites or any information contained therein. TECH Outdoors makes no representations or warranties whatsoever regarding their accuracy or completeness. The Site may contain links and interactive functionality interacting with the websites of third parties, including social sites and product manufacturers’ sites. TECH Outdoors is not responsible for and has no liability for the functionality, actions, inactions, privacy settings, privacy policies, terms or content of any such website. Before enabling any sharing functions of the Site to communicate with any such website or otherwise visiting any such website, TECH Outdoors strongly recommends that you review and understand the terms and conditions, privacy policies, settings and information-sharing functions of each such third-party website. The links and interactive functionality for third-party sites on the Site do not constitute an endorsement by TECH Outdoors of such third-party sites. Other sites may link to the Site with or without our authorization, and we may block any links to or from the Site. YOUR USE OF THIRD-PARTY WEBSITES AND RESOURCES IS AT YOUR OWN RISK. TECH Outdoors cannot and does not represent or warrant that the Site or its server will be error-free, uninterrupted, free from unauthorized access (including third-party hackers or denial of service attacks) or otherwise meet your requirements. THE SITE AND ALL INFORMATION, CONTENT, MATERIALS , PRODUCTS, SERVICES AND USER CONTENT INCLUDED ON OR OTHERWISE MADE AVAILABLE TO YOU THROUGH THE SITE (COLLECTIVELY, THE "SITE CONTENTS") ARE PROVIDED BY TECH OUTDOORS ON AN "AS IS," "AS AVAILABLE" BASIS, WITHOUT REPRESENTATIONS OR WARRANTIES OF ANY KIND. TECH OUTDOORS MAKES NO REPRESENTATIONS OR WARRANTIES OF ANY KIND, EXPRESS OR IMPLIED, AS TO THE OPERATION OF THE SITE, THE ACCURACY OR COMPLETENESS OF THE SITE CONTENTS, OR THAT EMAILS SENT FROM TECH OUTDOORS ARE FREE OF MALWARE OR OTHER HARMFUL COMPONENTS. YOU EXPRESSLY AGREE THAT YOUR USE OF THE SITE IS AT YOUR SOLE RISK. TO THE FULL EXTENT PERMITTED BY LAW, TECH OUTDOORS DISCLAIMS ANY AND ALL REPRESENTATIONS AND WARRANTIES WITH RESPECT TO THE SITE AND THE SITE CONTENTS, WHETHER EXPRESS OR IMPLIED, INCLUDING, WITHOUT LIMITATION, WARRANTIES OF TITLE, MERCHANTABILITY, AND FITNESS FOR A PARTICULAR PURPOSE OR USE. TECH OUTDOORS DOES NOT REPRESENT OR WARRANT THAT THE NUTRITION, INGREDIENT, ALLERGEN AND OTHER PRODUCT INFORMATION ON OUR SITE IS ACCURATE OR COMPLETE SINCE THIS INFORMATION IS PROVIDED BY THE PRODUCT MANUFACTURERS OR SUPPLIERS AND ON OCCASION MANUFACTURERS MAY MODIFY THEIR PRODUCTS AND UPDATE THEIR LABELS. WE RECOMMEND THAT YOU DO NOT RELY SOLELY ON THE INFORMATION PRESENTED ON OUR SITE AND THAT YOU CONSULT THE PRODUCT’S LABEL OR CONTACT THE MANUFACTURER DIRECTLY IF YOU HAVE A SPECIFIC DIETARY CONCERN OR QUESTION ABOUT A PRODUCT. On the Site, we may display names, marks, products, advertisements or services of third parties, pop-up texts or links to third-party sites. If you decide to link to any such third-party sites, you do so entirely at your own risk. The Site is controlled and operated by TECH Outdoors from the United States, and is not intended to subject TECH Outdoors to the laws or jurisdiction of any state, country or territory other than that of the United States. TECH Outdoors does not represent or warrant that the Site or any part thereof is appropriate or available for use in any particular jurisdiction other than the United States. In choosing to access the Site, you do so on your own initiative and at your own risk, and you are responsible for complying with all local laws, rules and regulations. We may limit the Site’s availability, in whole or in part, to any person, geographic area or jurisdiction we choose, at any time and in our sole discretion. UNDER NO CIRCUMSTANCES SHALL TECH OUTDOORS OR ITS EMPLOYEES, DIRECTORS, OFFICERS OR AGENTS BE LIABLE FOR ANY DIRECT OR INDIRECT LOSSES OR DAMAGES ARISING OUT OF OR IN CONNECTION WITH YOUR USE OF OR INABILITY TO USE THE SITE. THIS IS A COMPREHENSIVE LIMITATION OF LIABILITY THAT APPLIES TO ALL LOSSES AND DAMAGES OF ANY KIND (WHETHER GENERAL, SPECIAL, CONSEQUENTIAL, INCIDENTAL, EXEMPLARY OR OTHERWISE, INCLUDING, WITHOUT LIMITATION, LOSS OF DATA, INCOME OR PROFITS), WHETHER IN CONTRACT OR TORT, EVEN IF TECH OUTDOORS HAS BEEN ADVISED OF OR SHOULD HAVE KNOWN OF THE POSSIBILITY OF SUCH DAMAGES. IF YOU ARE DISSATISFIED WITH THE SITE, ANY CONTENT ON THE SITE OR THESE TERMS & CONDITIONS, YOUR SOLE AND EXCLUSIVE REMEDY IS TO DISCONTINUE USING THE SITE. YOU ACKNOWLEDGE, BY YOUR USE OF THE SITE, THAT YOUR USE OF THE SITE IS AT YOUR SOLE RISK. APPLICABLE LAW MAY NOT ALLOW THE LIMITATION OF LIABILITY SET FORTH ABOVE, SO THIS LIMITATION OF LIABILITY MAY NOT APPLY TO YOU, AND YOU MAY HAVE RIGHTS ADDITIONAL TO THOSE CONTAINED HEREIN. THE FOREGOING PARAGRAPH SHALL NOT APPLY TO RESIDENTS OF NEW JERSEY. WITH RESPECT TO RESIDENTS OF NEW JERSEY, TECH OUTDOORS OR ITS EMPLOYEES, DIRECTORS, OFFICERS, OR AGENTS SHALL NOT BE LIABLE FOR ANY LOSSES OR DAMAGES ARISING OUT OF OR IN CONNECTION WITH YOUR USE OF OR INABILITY TO USE THE SITE, OR ANY MATERIALS THEREIN UNLESS SUCH DAMAGES OR INJURIES ARE THE RESULT OF TECH OUTDOORS’ NEGLIGENT, FRAUDULENT OR RECKLESS ACTS OR INTENTIONAL MISCONDUCT. EACH PROVISION OF THESE TERMS & CONDITIONS THAT PROVIDES FOR A LIMITATION OF LIABILITY, DISCLAIMER OF WARRANTIES, OR EXCLUSION OF DAMAGES IS TO ALLOCATE THE RISKS UNDER THE AGREEMENT BETWEEN YOU AND TECH OUTDOORS. THIS ALLOCATION IS AN ESSENTIAL ELEMENT OF THE BASIS OF THE BARGAIN BETWEEN YOU AND TECH OUTDOORS. THE LIMITATIONS IN THIS SECTION WILL APPLY EVEN IF ANY LIMITED REMEDY FAILS OF ITS ESSENTIAL PURPOSE(S). As a condition of the use of the Site, you agree to defend, indemnify and hold harmless TECH Outdoors and its respective employees, directors, officers, agents, vendors and suppliers from and against any liabilities, losses, investigations, inquiries, claims, suits, damages, costs and expenses (including, without limitation, reasonable attorneys’ fees and expenses) (each, a "Claim") arising out of or otherwise relating to Claims alleging facts that if true would constitute a breach by you of these Terms & Conditions, or any User Content submitted by you, , or any User Content submitted by you. Except as explicitly stated otherwise, any notices you send to TECH Outdoors shall be sent by mail to TECH Outdoors, PO Box 486, Johnstown, OH 43031. In the case of notices TECH Outdoors sends to you, you consent to receive notices and other communications by TECH Outdoors posting notices on the Site, sending you an email at the email address listed in your profile in your account or mailing a notice to you at your billing address listed in your profile in your account. You agree that all agreements, notices, disclosures and other communications that TECH Outdoors provides to you in accordance with the prior sentence satisfy any legal requirement that such communications be in writing. Notice shall be deemed given (i) 24 hours after the notice is posted on the Site or an electronic message is sent, unless the sending party is notified that the message did not reach the recipient, or (ii) in the case of mailing, 3 days after the date of mailing. You agree that a printed version of these Terms & Conditions and/or any notice given in electronic form shall be admissible in judicial or administrative proceedings based upon or relating to these Terms & Conditions to the same extent and subject to the same conditions as other business documents and records originally generated and maintained in printed form. Pursuant To 47 U.S.C. Section 230(d) as amended, we hereby notify you that parental control protections (such as computer hardware, software or filtering services) are commercially available that may assist you in limiting access to material that is harmful to minors. Information identifying current providers of such protections is available on the following website: OnGuard Online (http://onguardonline.gov/). Please note that we do not endorse any of the products or services listed at such website. NOTICE FOR CALIFORNIA RESIDENTS Under California Civil Code Section 1789.3, California users are entitled to the following consumer rights notice: If you have a question or complaint regarding the Site, please send an email to customerservice@tech-outdoors.com. You may also contact us by writing to TECH Outdoors.com, PO Box 486, Johnstown, OH 43031, or by calling us at (800) 433-8324. California residents may reach the Complaint Assistance Unit of the Division of Consumer Services of the California Department of Consumer Affairs by mail at 1625 North Market Blvd., Sacramento, CA 95834, or by telephone at (916) 445-1254 or (800) 952-5210. YOU AGREE THAT ALL MATTERS RELATING TO YOUR ACCESS TO OR USE OF THE SITE AND ALL MATTERS ARISING OUT OF OR RELATED TO THESE TERMS & CONDITIONS, INCLUDING ALL DISPUTES, WILL BE GOVERNED BY THE LAWS OF THE STATE OF OHIO, UNITED STATES OF AMERICA, WITHOUT REGARD TO OHIO’S CHOICE OF LAW PRINCIPLES. YOU FURTHERMORE AGREE THAT THE EXCLUSIVE FORUM AND VENUE FOR ANY LEGAL ACTION ARISING OUT OF OR RELATED TO THESE TERMS & CONDITIONS SHALL BE THE UNITED STATES DISTRICT COURT FOR THE DISTRICT OF OHIO, AND YOU SUBMIT TO THE PERSONAL JURISDICTION OF THAT COURT. IF SUBJECT MATTER JURISDICTION (INCLUDING DIVERSITY JURISDICTION) DOES NOT EXIST IN THE UNITED STATES DISTRICT COURT FOR THE DISTRICT OF OHIO, THEN THE EXCLUSIVE FORUM AND VENUE FOR ANY SUCH ACTION SHALL BE THE COURTS OF THE STATE OF OHIO LOCATED IN LICKING COUNTY, AND YOU SUBMIT TO THE PERSONAL JURISDICTION OF THAT COURT. THE MAKING OF CLAIMS OR RESOLUTION OF DISPUTES PURSUANT TO THIS AGREEMENT SHALL BE IN YOUR INDIVIDUAL CAPACITY, AND NOT AS A PLAINTIFF OR CLASS MEMBER IN ANY PURPORTED CLASS OR REPRESENTATIVE PROCEEDING. YOU AGREE THAT TO THE EXTENT PERMITTED BY APPLICABLE LAW: (1) ANY AND ALL DISPUTES, CLAIMS AND CAUSES OF ACTION ARISING OUT OF OR CONNECTED WITH THE SITE AND/OR THESE TERMS & CONDITIONS WILL BE RESOLVED INDIVIDUALLY IN THE FORUM DESIGNATED IN THIS SECTION, WITHOUT RESORT TO ANY FORM OF CLASS ACTION; AND, EXCEPT FOR NEW JERSEY RESIDENTS AND WHERE OTHERWISE PROHIBITED BY LAW, (2) ANY AND ALL CLAIMS, JUDGMENTS AND AWARDS WILL BE LIMITED TO ACTUAL THIRD-PARTY, OUT-OF-POCKET COSTS INCURRED (IF ANY), BUT IN NO EVENT WILL ATTORNEYS’ FEES BE AWARDED OR RECOVERABLE. These Terms & Conditions, including policies and information linked from or incorporated herein, constitute the entire agreement between you and TECH Outdoors with respect to the Site and supersede all prior or contemporaneous communications, agreements and proposals with respect to the Site. No provision of these Terms & Conditions shall be waived except pursuant to a writing executed by the party against whom the waiver is sought. No failure to exercise, partial exercise of or delay in exercising any right or remedy under these Terms & Conditions shall operate as a waiver or estoppel of any right, remedy or condition. If any provision of these Terms & Conditions is held invalid, illegal or unenforceable, the validity, legality and enforceability of the remaining provisions will not be affected or impaired. You may not assign, transfer or sublicense any of your rights or obligations under these Terms & Conditions without our express prior written consent. We will not be responsible for failure to fulfill any obligation due to causes beyond our control. If you have any concerns about TECH Outdoors or your use of the Site, please contact us with a detailed description, and we will try to resolve it.